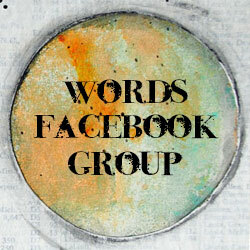 Thanks, Anna Tapp (Anna's blog: notknowingwhere.com), for the inspiration! We have just started a series called "Images of the Incarnation" at church. So, while studying last week in prep for our Creative Team planning meeting, I was reading in Matthew about how Jesus tells John the Baptist's disciples who He is. I got off on a rabbit trail as I started thinking about what Jesus says to them. Quoting from the prophet Isaiah, He says that His identity is evident by what they have SEEN and HEARD. So I started looking back through the first 11 chapters of Matthew to see exactly what it is that these men has seen and what they had heard. 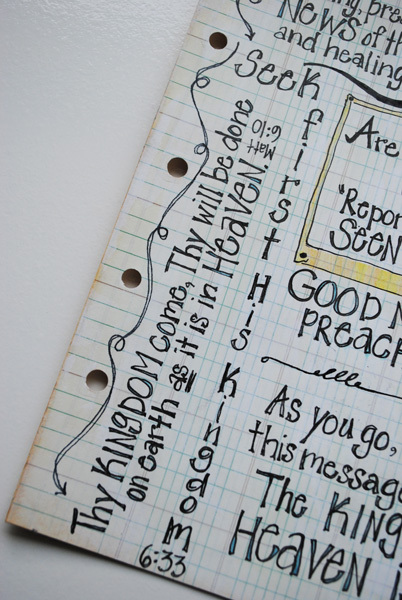 In 10:7, when Jesus sends out the 12 disciples, He tells them to "As you go, preach this message: ‘The kingdom of heaven is near.’"
In fact, in the book of Matthew, the word "kingdom" is used 53 times, 48 of those times referring to God's kingdom. 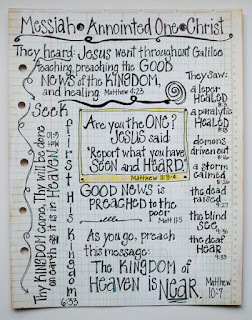 7 times Jesus mentions the kingdom in the Sermon on the Mount; 15 times Jesus mentions the kingdom in His parables, 10 of those times He starts the parable out saying, "The kingdom of heaven is like.."; 21 times outside of the Sermon on the Mount and parables the kingdom is the illustration or point of Jesus' teachings. 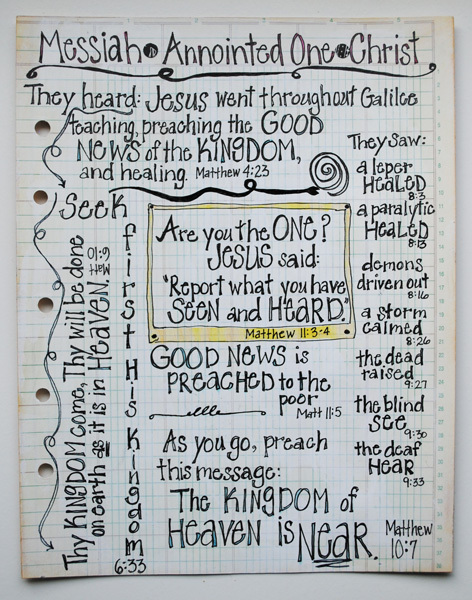 So, John's disciples heard from Jesus all about the kingdom of God (heaven). In the Lord's prayer He calls His followers to pray, "your kingdom come, your will be done on earth as it is in heaven." (Matt. 5:10). They heard that the kingdom was now near to them...THIS is the incarnation - the Kingdom of God coming near to us in the person of Jesus Christ! So, then, what did they SEE? Jesus pointed to himself as the Messiah ~the Savior of the world~ and told them that they had already received the evidence of this through what He taught and preached and by what He did. 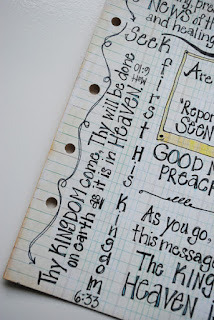 The kingdom of God draws near to us and points us to the Savior. We see and hear evidence of His identity all around us. We too are called to declare who He Jesus is and then show those around us the evidence of Christ in us by what we say and do. 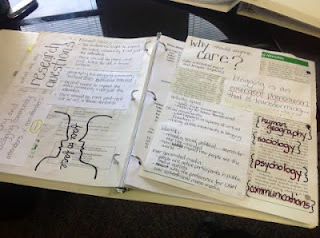 So, like I said at the beginning of this post, I was inspired by Anna Tapp's artistic notes and while I watched TV yesterday put my study notes on paper artistically. 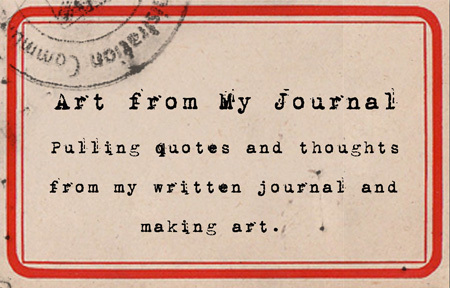 I love rabbit trails when I'm in God's Word...and it's a bonus when art comes out of it!